The New York EDITION brings together lasting comfort, extraordinary style and an exceptional level of service in a uniquely individual environment. 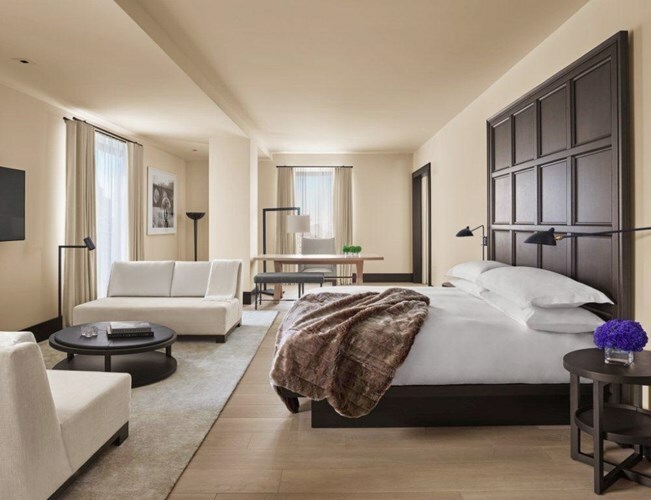 Located in the heart of New York City’s Flatiron District, steps from Madison Square Park, the hotel seamlessly blends the integrity and character of a prestigious landmark building with a simple, sophisticated design sensibility. 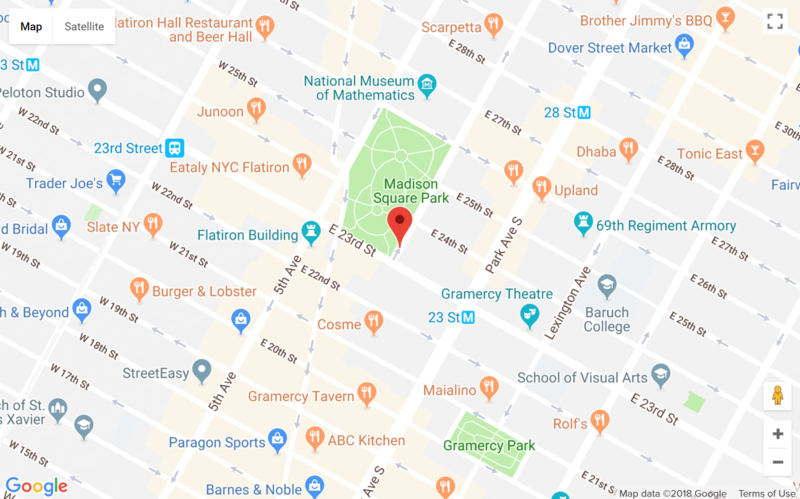 Originally built in 1909 as the headquarters for The Metropolitan Life Insurance Company, the historic 41-story clock tower offers jaw-dropping 360-degree views of Manhattan and is an iconic landmark against the city skyline. 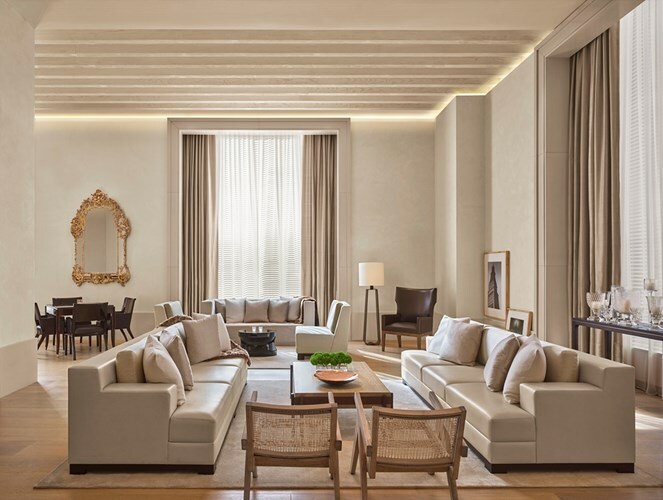 The New York EDITION offers a new generation of luxury with the feel of a private residence, boasting a combination of dark and light oak and neutral palettes. A dramatic spiral staircase climbing 30 feet high and the hand-blackened lobby fireplace are especially impressive. 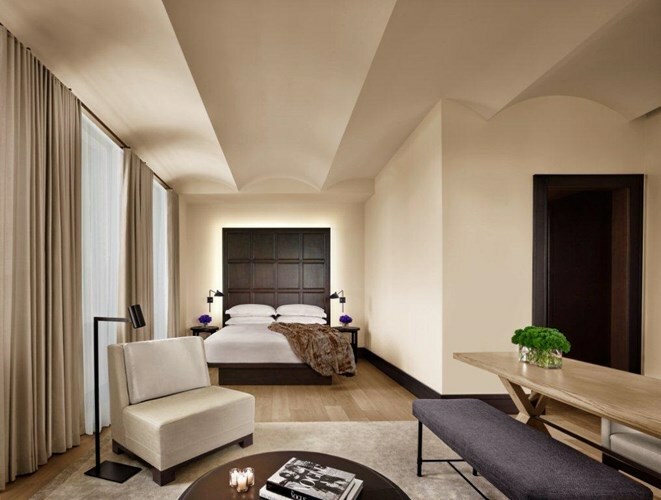 Sculptural ceilings and sensual throws add perfect touches to the 273 unique guestrooms (including 62 suites), and oversize windows frame poster-worthy city views. 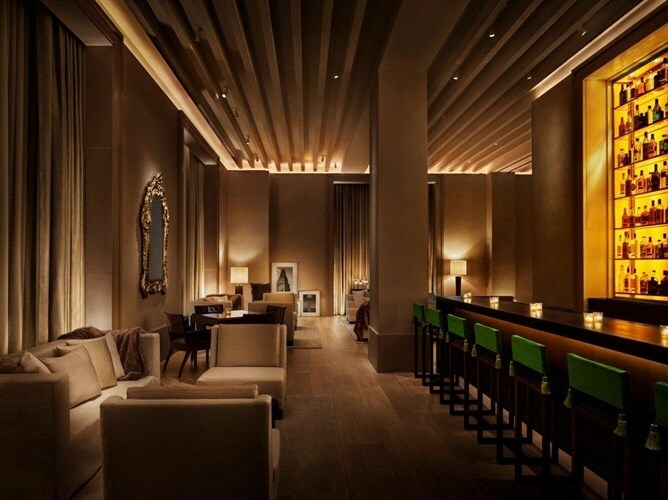 Play a game of billiards before dining at The Clocktower, headed by British Michelin-star Chef Jason Atherton. Sip a Cobblerpolitan or other creative cocktail at the 2016 Best of the Best award-winning bar at The Clocktower. The horseshoe-shaped bar is layered in 24-karat gold leaf.